You must attempt to match three of the same colored hexagons together but you must also do this in a certain number of rotations. Each time the third hexagon makes a complete circle, the timer decreases – you can increase this timer by successfully matching three hexagons together. There is a myriad of levels to play and the gameplay and graphics are fantastic. 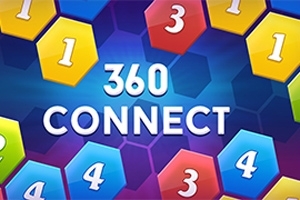 Can you master this unique match-three game?